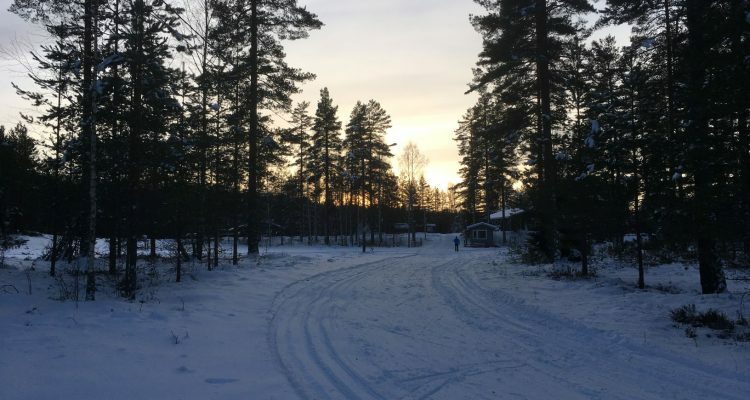 Cross-country skiing is a very popular hobby in Finland, and when the snow situation allows, many Finns head outdoors to skiing tracks around the country. 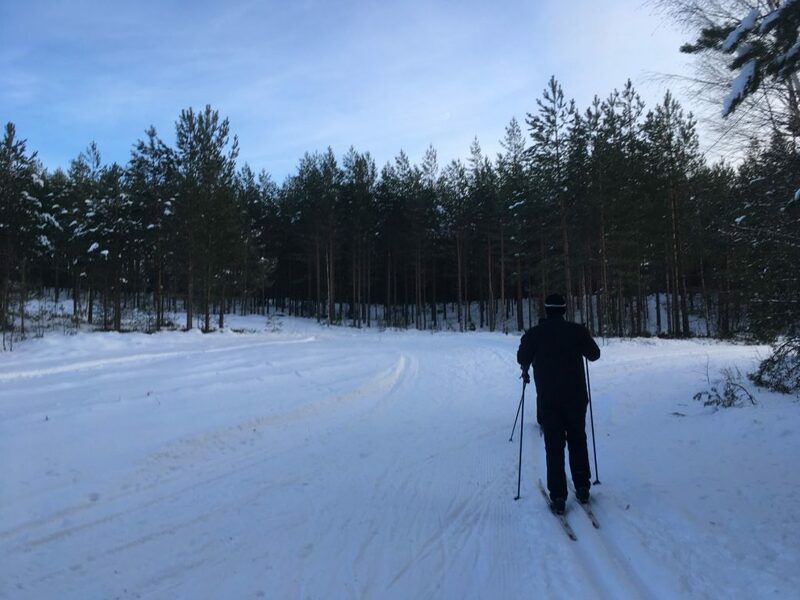 For example, Torronsuo bog is good place for the cross-country skiing. It is popular especially on the weekends when the parking lot gets full, but as it has long skiing tracks on the bog, it doesn’t usually feel crowded. 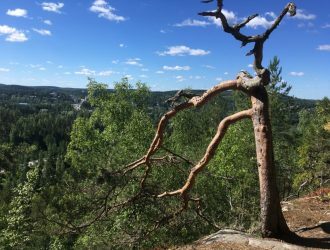 While Torronsuo provides very flat skiing tracks, my secret skiing spot Keräkankare has hills for those you don’t mind some climbing and downhill skiing along the way. 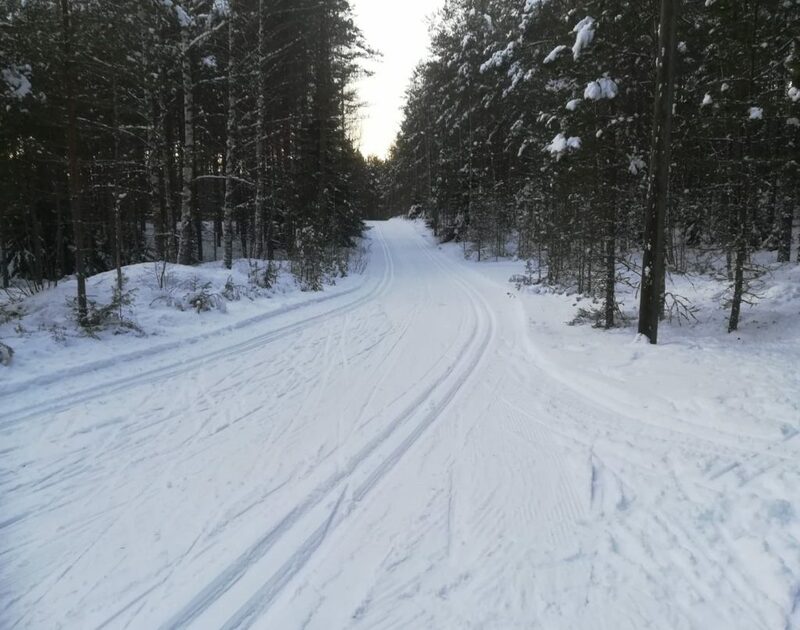 This cross-country skiing place in Lohja is my favourite, because there are excellent hilly tracks made by snowmobile in the middle of a forest, and it’s hardly ever crowded. 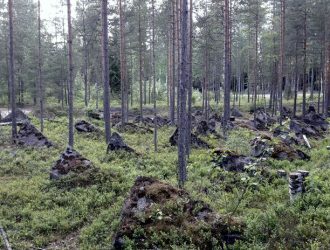 Keräkankare is located in Nummi-Pusula in Lohja municipality, about 75 kilometers from Helsinki. I recently found this map called Latutilanne. It’s all in Finnish but it gives you a good idea of where the skiing tracks are located in Finland and how many kilometers of tracks they each offer. Few volunteers are updating the status of skiing tracks to this map based on other skiers reports. All tracks are ready when location’s status is “Kunnossa” and the tracks are partly open when status is “Osa laduista avattu”. The status is unknown when there is a question mark in the map and it says “Kunto ei tiedossa”. We headed to Keräkankare with few friends, who in the car told me that one of them had knee issues and had to be careful with hills. So I warned them that Keräkankare has plenty of hills, but we would take it easy and see what the track is like. That was a good plan and worked pretty well. We had fun skiing in Keräkankare, and nobody got hurt. Despite of falling over in one of the hills! I must warn you, that Keräkankare is not a place for those who don’t like hills, or evidently falling over in them. Keräkankare has few short skiing tracks that are marked as 3 km and 5 km, and few other loops (blue parts in the map) that might also get opened if they can fix their broken snowmobile. The tracks are usually in excellent condition because Keräkankare is not as popular as other places near cities. Some parts of the tracks have street lights (orange part) that are lit up until 21pm in the evenings. 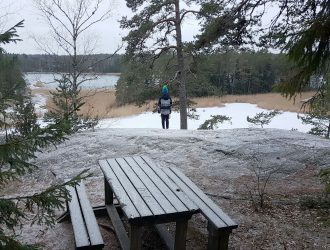 Keräkankare is a nice place for jogging also in summer as the tracks that in winter are used for skiing, are trails with same big hills. 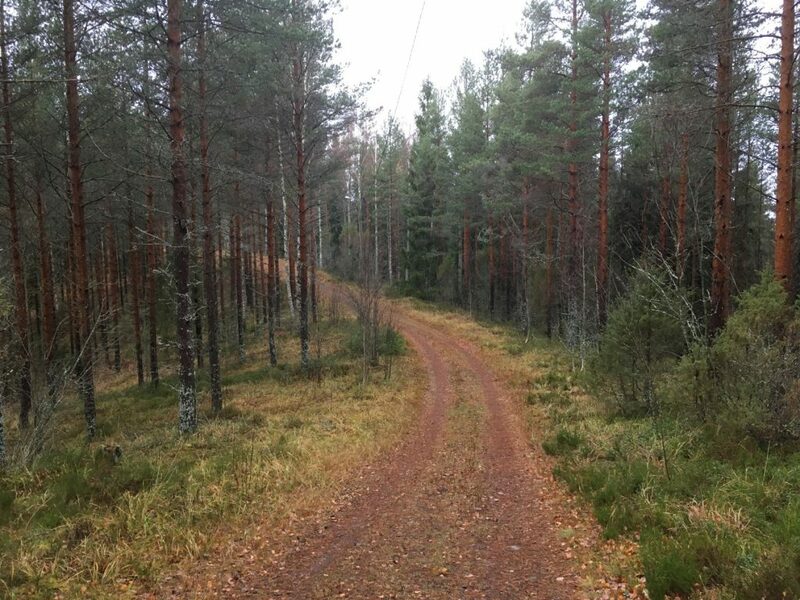 And beautiful pine forest surrounds these soft forest trails. Car: Set the address “Veikontie 86 Pusula” to your navigator and from Somerontie turn to Veikontie, following black sign to “Keräkankare”. The starting point for the skiing tracks it at Keräkankare yard, about 1 km from the Somerontie intersection. Public transport: Unfortunately there is no public transportation to Keräkankare. The closest bus stop is probably Leppäkorpi on Somerotie, about 2 kilometers away, but buses that pass this stop are rare, and you would need a miracle to get back home on the same day. When to visit: Keräkankare can be visited all year round. The skiing tracks are only available when there is enough snow on the ground. And the snowmobile runs. 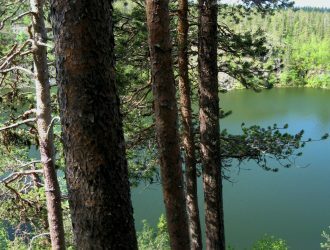 Iso-Valkee is a spectacular little lake in a neighboring town Somero. It has sandy beaches, lean-to shelters and a nature trail, and it is especially popular among swimmers and divers, ice-skaters, dog owners and geocachers.